The first details of the Ryzen 7 3700U APU have leaked online thanks to two different benchmarks and we have several hints (and a lot of questions) of what we can expect from the final retail release of the Ryzen 3000 series APUs. The engineering sample processor sports a 3.8GHZ boost clock with a 2.2 GHZ base clock. The chip is also listed as a 4 core 8 thread part. The average turbo clock appears to be about 3.2 GHZ though. These figures are pretty much identical to the Ryzen 7 2700U processor… but once again this is an engineering sample CPU. The processors code name is ZM370SC4T4MFG_38/22_Y, with the 38 representing the turbo clock, and the 22 the base clock. What isn’t immediately obvious is if the Ryzen 7 3700U features either a Zen+ core or sports the newer Zen 2 architecture. 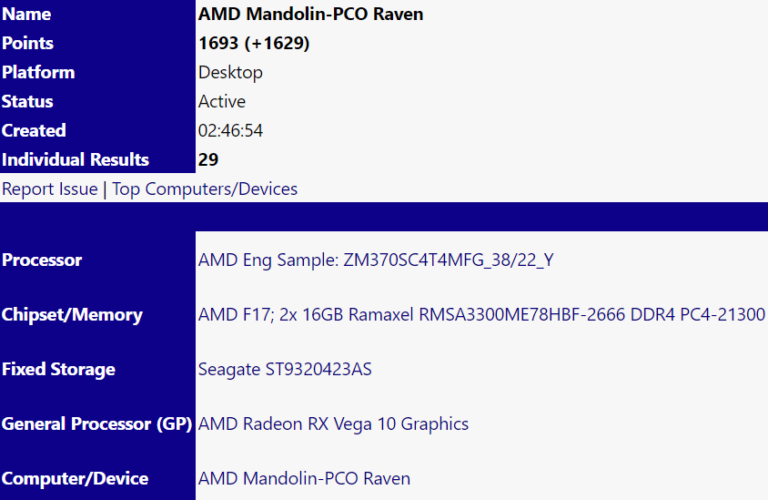 Typically, AMD’s APU line of processors has lagged behind the desktop – for example, the Ryzen 1000 series launched back in April 2017, but the APUs at the time of launch Ryzen’s AM4 launch were still stuck on drastically inferior Bristol Bridge architecture. There were leaked slides from Informatica Cero (which we covered here on RGT in video format earlier this year) which did hint the Ryzen 7 3700U would indeed be based on Zen 2, but this is far from a smoking gun and it’s possible AMD will decide that Zen+ is the better fit for the Ryzen 7 3700U. Just to be clear, Ryzen 7 3700X, Ryzen 5 3600X and other none APUs are virtually assured to be based on the Zen 2 architecture, so we’re only questioning the APUs here. The other big question we have concerns the GPU found inside the Ryzen 7 3700U. It is being recognized as ‘Picasso’ by UserBenchmark, but other leaked results call the GPU a Radeon RX Vega 10… so are we indeed looking at either a rebrand of the RX Vega 10 GPU, or possibly a refresh (built on a smaller process such as 7nm)? The other possibility is this processor is essentially a rebrand of the 2700U, possibly with subtle changes here or there for final silicon. Given the naming scheme, it would seem rather like that the Ryzen 7 3700U is a 10 – 25W part (the same as the 2700U… which had a nominal rating of 15W). AMD have made it clear that we’ll first see Zen 2 in the HPC space, but mainstream processors will likely start trickling out after. 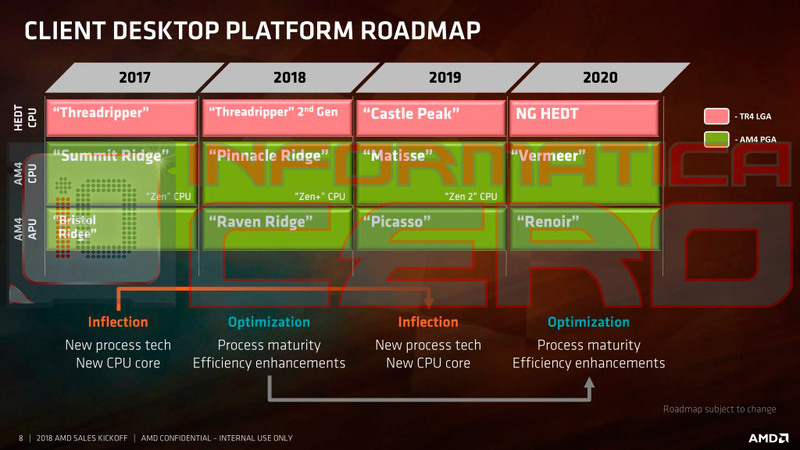 It’s hard to know the exact timing, but AMD have previously launched both Ryzen generations in April (the first being 2017, with the second generation of course in 2018) so there’s at least a good chance we’ll have more information by the time Q1 2019 rolls around. 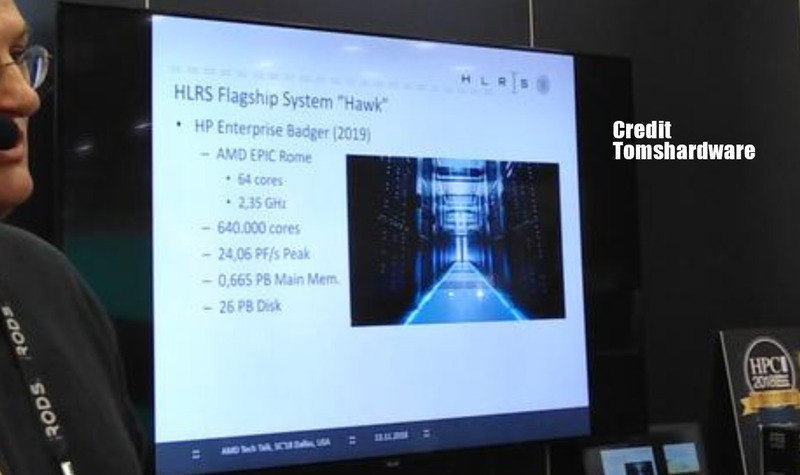 In other Zen 2 info, and something we covered in yesterday’s video (embedded below) In the photo above, you can see TomsHardware managed to snag a photo of HAWK, a HLRS supercomputer and the specs of the components inside. 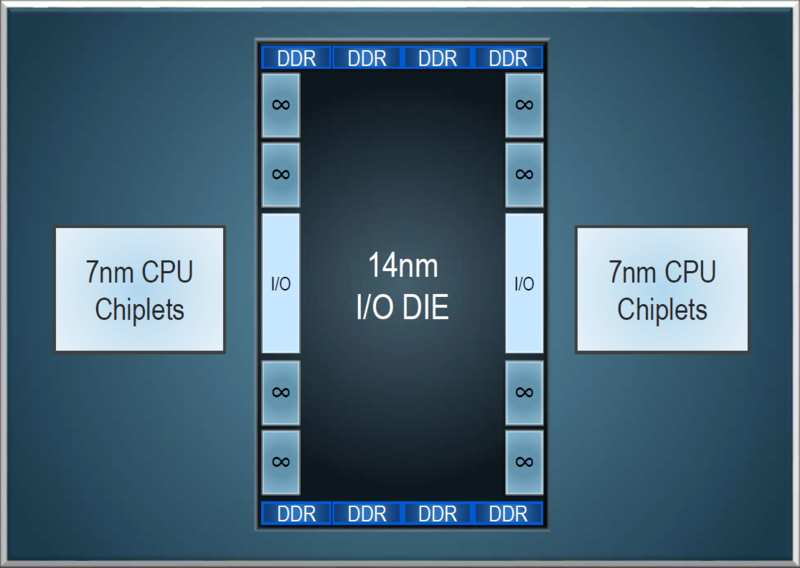 The most important figure here is Epyc (which has a typo in the slide to ‘EPIC’ and lists a clock of 2.35 GHZ (which is almost certainly a base clock). Compare this to the original Epyc processors and their 2.2GHZ base. It’s unknown whether the turbo ratio remains the same for Rome as the original Epyc or if Rome has higher potential clock speeds. The original Epyc had boasted a 3.2 GHZ for single core turbo or 2.7GHZ for all core. The internet hasn’t stopped buzzing since AMD’s Next Horizon event last week, where Dr. Lisa Su and the rest of her team revealed the first details of the Zen 2 architecture and demoed the extremely impressive Rome processor, the second generation of Epyc featuring up to 64 cores and a monstrous 128 threads per processor. Shortly after the event, various marketing materials were released to the public – intended for journalists and investors alike. AMD claimed that Rome offered up to a 29 percent improvement in IPC compared to the first generation Epyc parts (or to put that another way, Zen 2 had a 29 percent improvement over the original Zen, or about a 26% jump over Zen+). This shouldn’t come as a surprise to regular viewers and readers here, because we had made it rather clear that it was highly unlikely these type of gains were what we would see in the vast majority of usage cases. The leaks for AMD’s Zen 2 IPC gains have told us about 12 – 15 percent on average… and I am much more inclined to believe this is more realistic for the ‘average’ load. The problem is there’s not really such thing as an average processor load, with different game engines, compilers, video encoders, and heck even your web browser all pushing different loads to cache, memory sub system, integer or floating point calculations, levels of optimization and so much more besides. I give AMD all the credit in the world for this clarification statement – because they could have let the buzz continue. But they took the sensible and long term approach of not having a potential major disappointment in the future and really offering impressive performance. What we do know is that there are major differences under Zen 2’s hood, improved branch prediction and instruction prefetching, better bandwidth across the processor, doubled floating point performance and so on. So with all of the architectural tweaks, there’s a very good chance 10 – 15% IPC gains (depending on the work load and which generation of Zen you’re comparing Zen 2 against) seems pretty likely. Thanks to ApiSak for spotting the benchmarks. Tagged with amd zen 2 ipc, epyc, epyc 2, rome, rome amd, ryzen 3700u, ryzen 7, ryzen 7 3700, zen 2, zen 2 ipc.